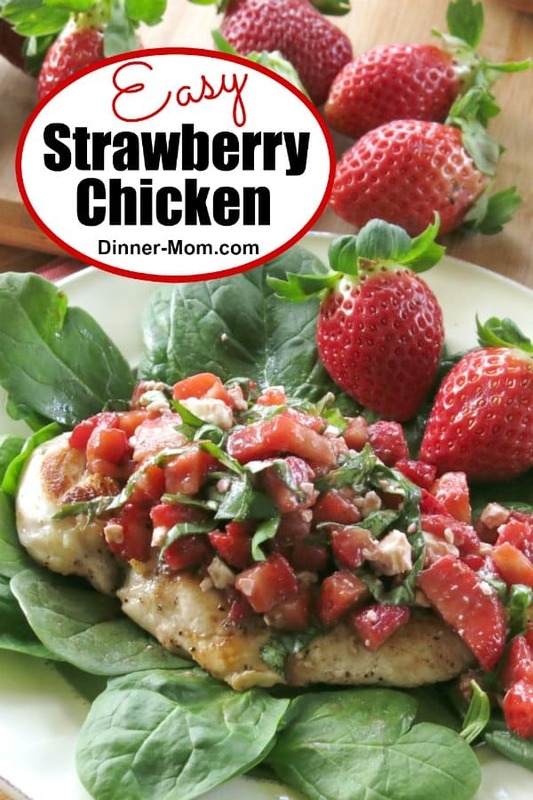 Strawberry Bruschetta Chicken is an elegant recipe that’s perfect for special dinners. A mixture of strawberries, feta cheese, basil, and balsamic vinegar is served over chicken that cooks in minutes on the stove-top for a quick, healthy and very beautiful dinner! I’m thrilled to be partnering with my Sunday Supper friends and Florida Strawberry to share an amazing collection of recipes featuring none other than one of my very favorite fruits…strawberries! Don’t get me wrong, I love all types of fruit. But, this Florida gal has a special love for my rosy friends. And, when the season comes around, December through April of each year, they are consumed almost daily at our house. We add them to salads, oatmeal, pudding, and smoothies. For a bit of an indulgence, we melt a couple of squares of dark chocolate and dip them for a mini fondue-like experience. When it’s time to show-off, we make Cheesecake Stuffed Strawberries. These choices are all consumed guilt-free….because strawberries are HEALTHY! Did you know 8 medium strawberries equal your daily requirement of vitamin C? 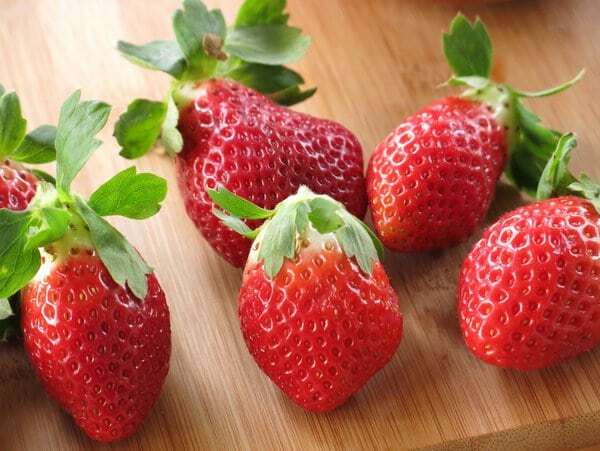 Check out 10 Good Reasons to Eat Strawberries! However, I can honestly say that I never thought to incorporate strawberries into a dinner entree like this strawberry chicken recipe. Until now. It’s an easy and healthy way to add a burst of sweetness to your meal. The star of the show is, of course, strawberry bruschetta. 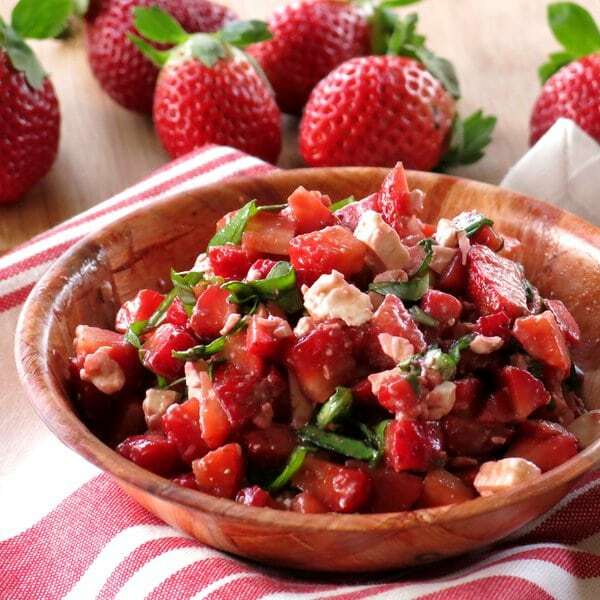 Its preparation is as simple as dicing strawberries and mixing them with balsamic vinegar, olive oil, crumbled feta cheese, and fresh basil. Yum! Strawberry bruschetta can be served on grilled bread or with crackers. Heck, I eat it by the spoonful! But, sticking to business, it’s also the perfect topping for chicken cutlets. 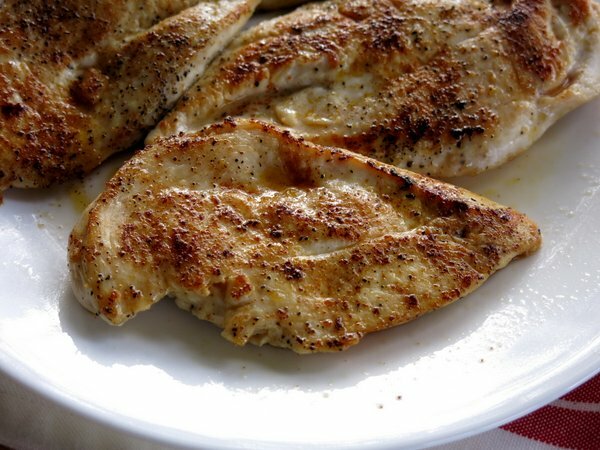 To prepare the base, simply season the chicken cutlets with salt, pepper, and paprika and then cook them for a few minutes on each side in a skillet coated with olive oil. It’s my favorite way to quickly cook chicken! I plated everything on top of a bed of baby spinach leaves. The result? A complete and very strawberry-licious meal! 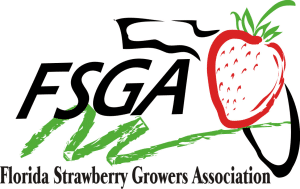 A special thanks to Florida Strawberry Growers Association, Epicurean Hotel, Elevage Restaurant, Edge, Cask Social Kitchen, Ava, Edge Rooftop Bar at Epicurean and Bern’s Harry Waugh Dessert Room for making this event possible. Easy Strawberry Bruschetta Chicken is an elegant recipe that's perfect for special dinners and happens to take less than 30 minutes to make. To prepare bruschetta, add ingredients to a bowl and gently mix to combine. Set aside. Lightly coat frying pan with olive oil and heat over medium-high heat. Season chicken cutlets with salt and pepper and sprinkle with paprika. Place cutlets in a single layer in the pan, working in batches if necessary. Cook cutlets for about 3-4 minutes, flip to the other side and cook for 3-4 minutes more. Cooking time depends upon the thickness of the chicken. Serve topped with Strawberry Bruschetta. 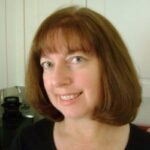 For more strawberry recipes visit StrawberrySue or follow Strawberry Sue on YouTube and Twitter. Florida Strawberry can be found on Facebook, Twitter, Instagram and Pinterest. Finally, be sure to check out the impressive array of recipes that incorporate strawberries in just about every type of recipe! I just ove the addition of feta to this salsa! This looks fresh, healthy, and delicious! What a way to brighten up chicken and make a feast for the eyes and the tummy! I was a little on the fence about the strawberry bruschetta, but this was AMAZING. Looking forward to making it again!